You are here: Home / Crochet Other / Affiliate Posts / Talking Anya Dress-up and Pet Puppies App, by Sprite Kids. 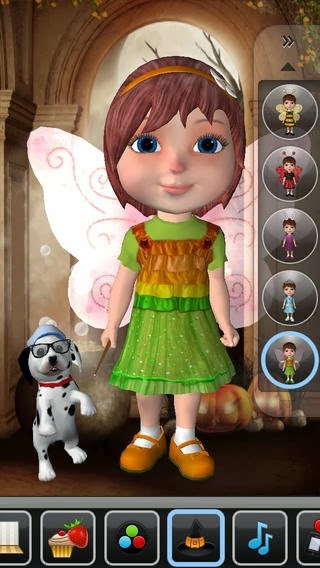 I was compensated to provide my honest opinion about the Talking Anya Dress-up and Pet Puppies app by Sprite Kids. Please feel free to read my Disclosure Policy for more information. All images/video used in this post are copyright of Sprite Kids. I was excited when this opportunity arose on Sverve as both of my children already play this app on their iPads pretty regularly. Anya has her own Facebook Page too – with more than 26K likes! 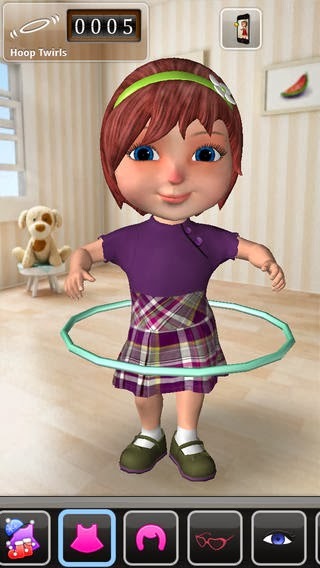 Playtime with Anya – play dress-up, bubble popping, hula hoop, catch flowers. My daughter Darla (she is 4.5 years old) loves playing with Anya – and her puppies. She enjoys playing the games (bubble popping is a hit!) but mostly she enjoys playing dress-up and feeding Anya. She loves when Anya gives her the BIG HEART and says “I Love You” and has learned not to tap the heart and break it – because it makes Anya sad. Darla also enjoys caring for the puppies – petting them and feeding them 🙂 This game is like playing dolls but with a doll that responds to her – smiles and talks – laughs – My son, Drew (he is almost 3 years old) also enjoys playing this game – although he doesn’t play dress-up very often – mostly the games (bubble popping is his favourite) and feeding Anya countless cupcakes…and he enjoys breaking Anya’s BIG HEART (a little bit of an evil streak I’m afraid)…he also likes making Anya play her maracas and having her dance to the music. While I tend to emphasize educational apps for my children on their iPads, this is one of the ‘just for fun’ apps I have added for them. This app is very entertaining. It is Free! Anya has more than 26K likes on Facebook. You really can’t go wrong with this app. To download your free copy visit iTunes – Talking Anya Dress-up and Pet Puppies is a Universal app so it will work on both the iPad and iPhone. Thanks Jen 🙂 My children really enjoy Talking Anya Dress-up and Pet Puppies. This is indeed an amazing app. I really like the overall features and working details of Talking Anya Dress-up and Pet Puppies. I think It'll be fun to use. Thanks.